IFF is located in Bad Säckingen and Berlin (Germany). The group was founded 1997 for a club-event in Basel (Switzerland) at brisant kiosk/club. 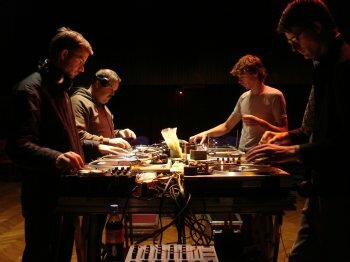 IFF got some reputation for their acoustic work with prepared turntables (turntablismtheorism) and their reductionist set-up called Octogrammoticum: 8 turntables, 4 DJ mixers + end-mixer, which is served by the group members. Anything (except records) which somehow fits between turntables and pick-up cartridges (household-rubberbands, paper-stickers, rubbergums, handicraft-tools + various tinker-trivias) may be played. 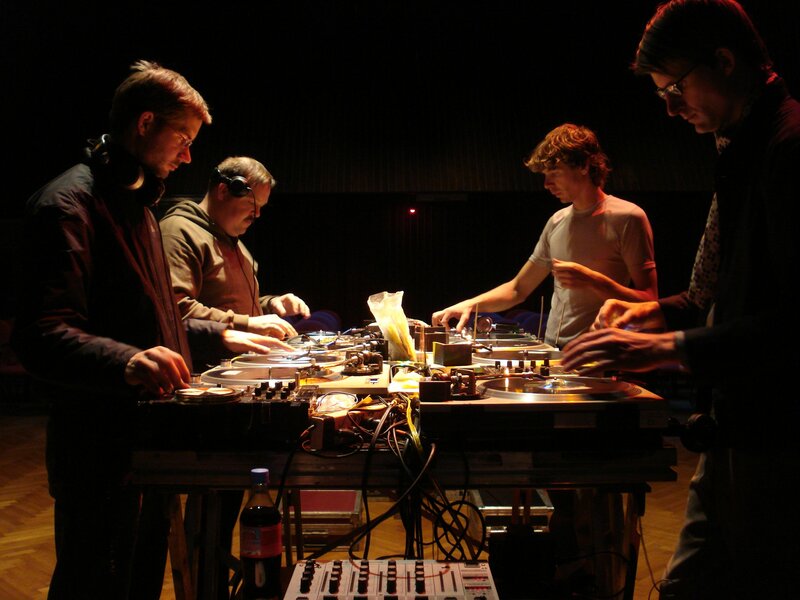 Octogrammoticum is Institut fuer Feinmotorik's classical puristic setup of 8 prepared turntables without records, effects and post-processing.